DEERFIELD, Ill., and ATLANTA, April 12, 2018 /PRNewswire/ -- Essendant (Nasdaq: ESND) and Genuine Parts Company (NYSE: GPC) today announced that the companies have entered into a definitive agreement to combine Essendant and Genuine Parts Company's S.P. Richards business. The transaction, which has been unanimously approved by the Boards of Essendant and Genuine Parts Company, is expected to be tax free to the companies' respective shareholders. Together, Essendant and S.P. Richards will form a stronger, more competitive business products distributor with greater scale and service capabilities and an enhanced ability to support customers. Ric Phillips, Essendant President and Chief Executive Officer, who will lead the combined company, said, "By bringing together two businesses with long histories, complementary product lines and a shared customer-centric approach, we are creating a much stronger, better positioned company. Combining resources, leadership and operational expertise from both teams, and the unique strengths of both businesses will enhance our ability to compete and help our customers succeed in the face of a rapidly evolving market. In addition, through increased scale, improved service capabilities and an enhanced financial profile – including significant cost savings, increased free cash flow and a stronger balance sheet – we will be able to drive more profitable growth and create meaningful value for shareholders." Paul Donahue, Genuine Parts Company President and Chief Executive Officer, added, "This transaction is the result of a comprehensive process to maximize the value of S.P. Richards and represents a key step in the execution of Genuine Parts Company's long-term strategy by enabling us to increase our focus on our larger, core global automotive and industrial businesses. In addition, the merger provides substantial upside to Genuine Parts Company shareholders through the significant value proposition of the combined company that will be better equipped to succeed in a dynamic and changing marketplace. We have tremendous respect for Essendant and believe the combination with S.P. Richards' strong, diversified business and talented team will bring together two highly complementary cultures with a shared commitment to serving customers. For employees, the new company will have the scale and depth to compete more effectively, and we look forward to supporting the S.P. Richards and Essendant teams in facilitating a seamless integration." The transaction creates a company with pro forma 2017 net sales of approximately $7 billion, $300 million in Adjusted EBITDA, 4.2% Adjusted EBITDA margins.1 The combined company will have a stronger and more flexible balance sheet, which will enable it to reduce leverage, invest in the business and provide value to shareholders. In addition to creating a platform with greater scale and the enhanced ability to serve customers, the combination is expected to unlock more than $75 million in annual run-rate cost synergies and more than $100 million in working capital improvements. The cost synergies will primarily be driven by sourcing, supply chain and selling, general and administrative efficiencies. The combined company expects 90% of the cost synergies to be realized within two years post-closing and to incur less than $50 million in one-time cash costs to realize the synergies. The transaction combining Essendant and S.P. Richards is structured as a Reverse Morris Trust, in which Genuine Parts Company will separate S.P. Richards into a standalone company and spin off that standalone company to Genuine Parts Company shareholders, immediately followed by the merger of Essendant and the spun-off company. The transaction implies a valuation of S.P. Richards of approximately $680 million, reflecting the value of the Essendant shares to be issued at closing plus one-time cash payments to Genuine Parts Company of approximately $347 million, subject to adjustments at closing. Upon closing, Genuine Parts Company shareholders will own approximately 51% and Essendant shareholders will own approximately 49% of the combined company on a diluted basis, with approximately 80 million diluted shares expected to be outstanding. The transaction is expected to be tax-free to Essendant and Genuine Parts Company shareholders. The transaction is expected to close before the end of 2018, subject to regulatory and Essendant shareholder approvals and other customary closing conditions. Upon close of the transaction, the combined company, which will be called Essendant, will be led by Essendant President and CEO Ric Phillips, and Janet Zelenka will serve as CFO. S.P. Richards President and CEO Rick Toppin will be appointed Chief Operating Officer of the combined company. Additional leadership roles will be mutually determined as part of the integration process. The combined company will maintain headquarters in both Deerfield, IL and Atlanta, GA.
Citigroup Global Markets Inc. is acting as financial advisor and Skadden, Arps, Slate, Meagher & Flom LLP is acting as legal counsel to Essendant. J.P. Morgan is acting as financial advisor and Davis Polk & Wardwell LLP is acting as legal counsel to Genuine Parts Company. Essendant and Genuine Parts will hold a conference call today at 8:30 AM ET / 7:30 AM CT to discuss the transaction. Investors may participate in the conference call by dialing (877) 358-2531 in the U.S. and Canada or (412) 902-6623 if international and ask to be joined into the Essendant call. A webcast will also be available at Essendant and Genuine Parts Company's investor websites (http://investors.essendant.com/ & http://genuineparts.investorroom.com/). Interested parties can access an archived version of the call, this news release, and a slide presentation related to the transaction, also located on Essendant and Genuine Parts Company's investor websites after the call ends. 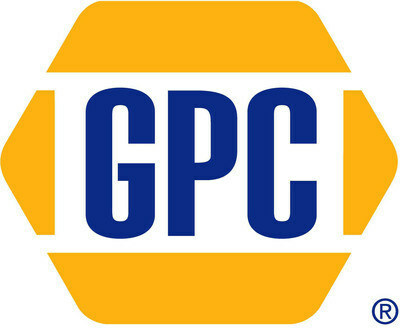 This press release contains forward-looking statements, including statements regarding the proposed business combination transaction between Essendant Inc. ("Essendant") and Genuine Parts Company ("GPC") in which GPC will separate its Business Products Group and combine this business with Essendant. From time to time, oral or written forward-looking statements may also be included in other information released to the public. These forward-looking statements are intended to provide management's current expectations or plans for our future operating and financial performance, based on assumptions currently believed to be valid. Forward-looking statements often contain words such as "expects," "anticipates," "estimates," "intends," "plans," "believes," "seeks," "will," "is likely to," "scheduled," "positioned to," "continue," "forecast," "predicting," "projection," "potential" or similar expressions. Forward-looking statements may include references to goals, plans, strategies, objectives, projected costs or savings, anticipated future performance, results, events or transactions of Essendant or the combined company following the proposed transaction, the anticipated benefits of the proposed transaction, including estimated synergies, the expected timing of completion of the transaction and other statements that are not strictly historical in nature. These forward-looking statements are based on management's current expectations, forecasts and assumptions. This means they involve a number of risks and uncertainties that could cause actual results to differ materially from those expressed or implied here, including but not limited to: the ability of Essendant and GPC to receive the required regulatory approvals for the proposed transaction and approval of Essendant's stockholders and to satisfy the other conditions to the closing of the transaction on a timely basis or at all; the occurrence of events that may give rise to a right of one or both of Essendant and GPC to terminate the merger agreement; negative effects of the announcement or the consummation of the transaction on the market price of Essendant's common stock and/or on its business, financial condition, results of operations and financial performance; risks relating to the value of the Essendant shares to be issued in the transaction, significant transaction costs and/or unknown liabilities; the possibility that the anticipated benefits from the proposed transaction cannot be realized in full or at all or may take longer to realize than expected; risks associated with contracts containing consent and/or other provisions that may be triggered by the proposed transaction; risks associated with transaction related litigation; the possibility that costs or difficulties related to the integration of the businesses will be greater than expected; and the ability of the combined company to retain and hire key personnel. There can be no assurance that the proposed transaction or any other transaction described above will in fact be consummated in the manner described or at all. Stockholders, potential investors and other readers are urged to consider these risks and uncertainties in evaluating forward-looking statements and are cautioned not to place undue reliance on the forward-looking statements. For additional information on identifying factors that may cause actual results to vary materially from those stated in forward-looking statements, please see Essendant's and GPC's reports on Forms 10-K, 10-Q and 8-K filed with or furnished to the U.S. Securities and Exchange Commission (the "SEC") and other written statements made by Essendant and/or GPC from time to time. The forward-looking information herein is given as of this date only, and neither Essendant nor GPC undertakes any obligation to revise or update it. In connection with the proposed transaction, Essendant will file with the SEC a registration statement on Form S-4 containing a proxy statement/prospectus of Essendant and Rhino SpinCo, Inc., a wholly-owned subsidiary of GPC created for the proposed transaction ("Rhino SpinCo, Inc."), will file with the SEC a registration statement on Form 10. INVESTORS AND SECURITY HOLDERS ARE URGED TO READ THE REGISTRATION STATEMENTS, THE PROXY STATEMENT/PROSPECTUS AND OTHER RELEVANT DOCUMENTS FILED WITH THE SEC WHEN THEY BECOME AVAILABLE, BECAUSE THEY WILL CONTAIN IMPORTANT INFORMATION. Investors and security holders will be able to obtain the registration statements and the proxy statement/prospectus free of charge from the SEC's website or from Essendant or GPC. The documents filed by Essendant with the SEC may be obtained free of charge at Essendant's website at www.essendant.com, at the SEC's website at www.sec.gov or by contacting Essendant's Investor Relations Department at (847) 627-2900. The documents filed by Rhino SpinCo, Inc. with the SEC may be obtained free of charge at GPC's website at www.genpt.com, at the SEC's website at www.sec.gov or by contacting GPC's Investor Relations Department at (678) 934-5000. Essendant, GPC and their respective directors and executive officers and other members of management and employees may be deemed to be participants in the solicitation of proxies in respect of the proposed transaction. Information about Essendant's directors and executive officers is available in Essendant's proxy statement for its 2017 annual meeting of stockholders, which was filed with the SEC on April 12, 2017, its Annual Report on Form 10-K for the year ended December 31, 2017, which was filed with the SEC on February 21, 2018, and its Current Reports on Form 8-K, which were filed with the SEC on May 2, 2017, June 13, 2017, July 17, 2017, October 25, 2017, December 28, 2017 and March 8, 2018. Information about GPC's directors and executive officers is available in GPC's proxy statement for its 2018 annual meeting of shareholders, which was filed with the SEC on February 27, 2018. Other information regarding the participants in the proxy solicitation and a description of their direct and indirect interests, by security holdings or otherwise, will be contained in the registration statements, the proxy statement/prospectus and other relevant documents to be filed with the SEC regarding the proposed transaction. Genuine Parts Company is a global distributor of automotive replacement parts in the U.S., Canada, Mexico, Australasia, France, the UK, Germany and Poland. The Company also distributes industrial replacement parts and electrical and electronic components in the U.S., Canada and Mexico through its Industrial Parts Group. S. P. Richards Company, the Business Products Group, distributes a variety of business products in the U.S. and in Canada. Genuine Parts Company had 2017 revenues of $16.3 billion. S.P. Richards, the Business Products Group of Genuine Parts Company, is a leading business products distributor throughout the U.S. and Canada, with 2017 revenues of approximately $2.0 billion. S.P. Richards equips reseller customers with an expansive offering of general business products, including everyday essentials like copy paper, office and printer supplies, as well as office furniture, business technology products and facilities, breakroom and safety supplies. S.P. Richards distributes more than 98,000 items to over 9,700 resellers and distributors from a network of 54 distribution centers.